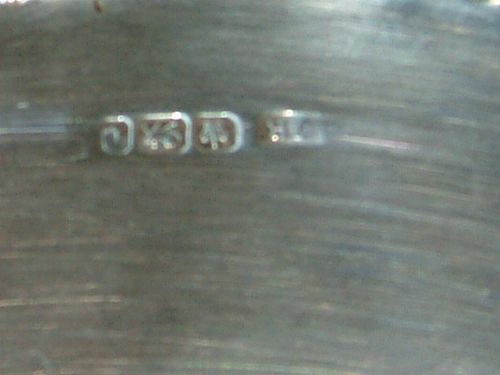 Superb Quality some minor chips to Bottles. 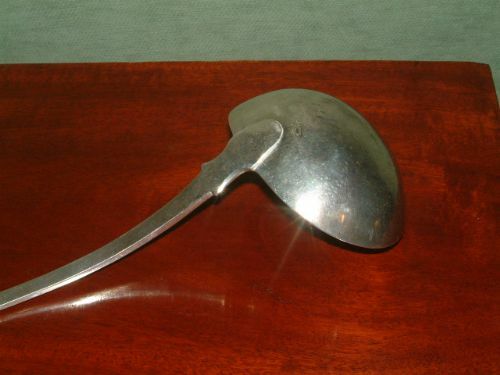 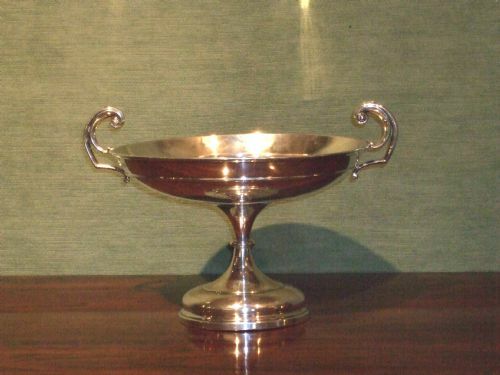 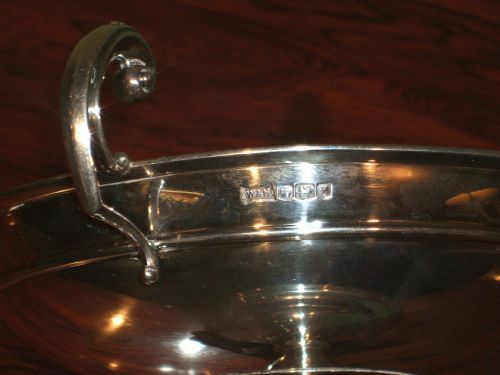 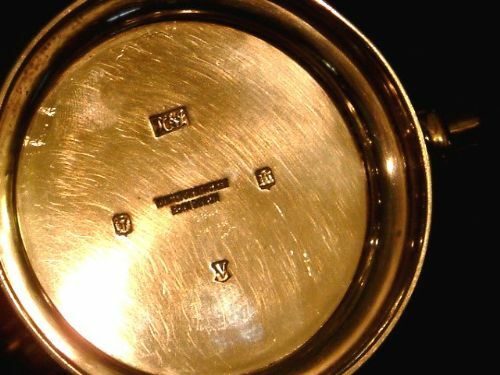 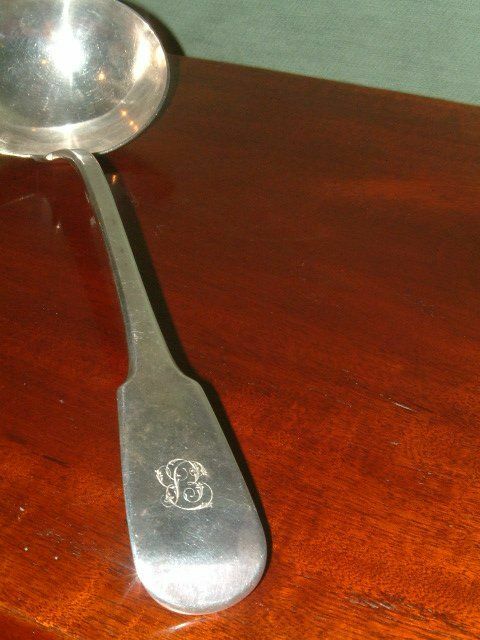 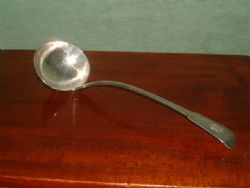 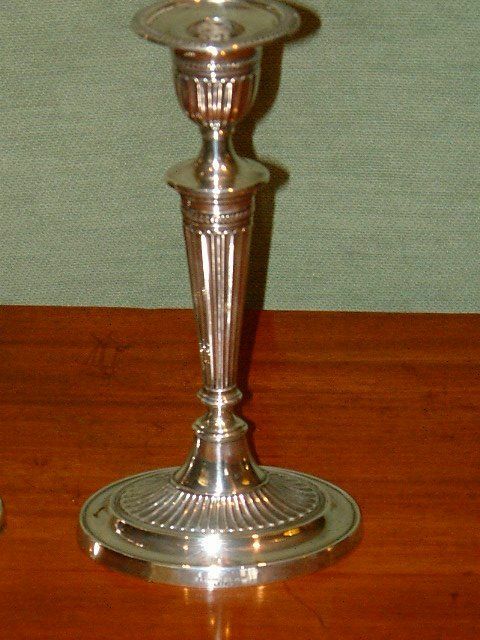 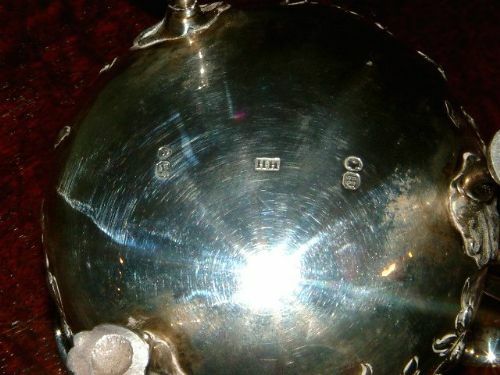 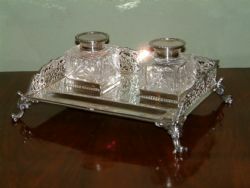 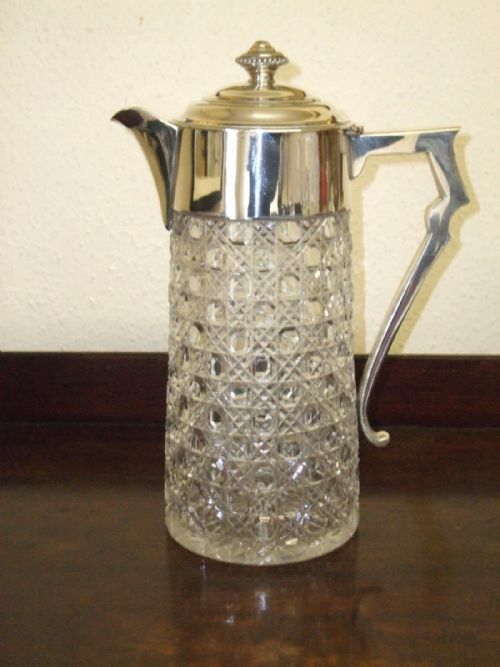 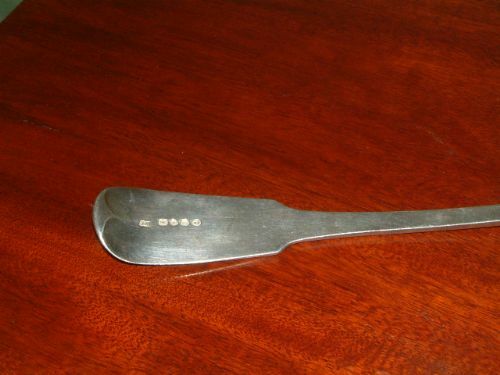 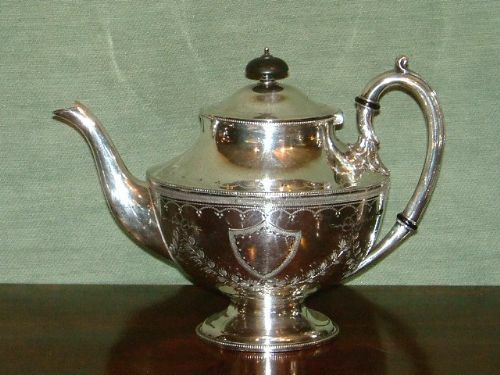 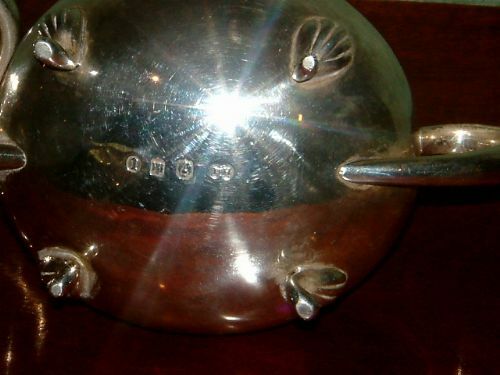 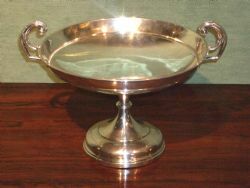 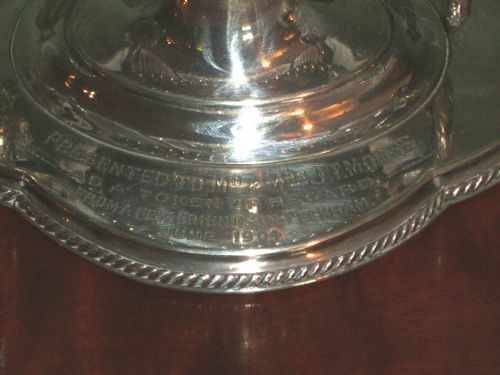 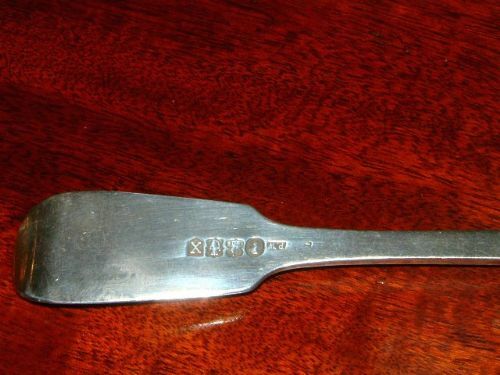 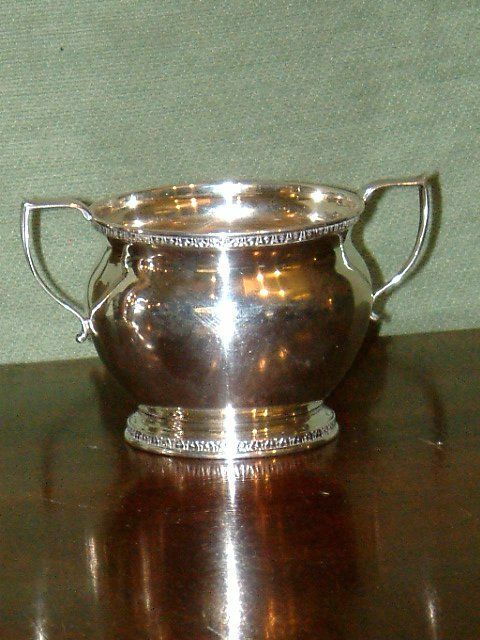 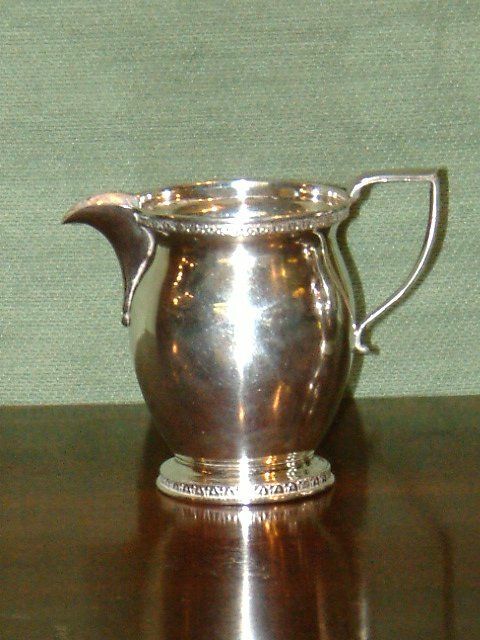 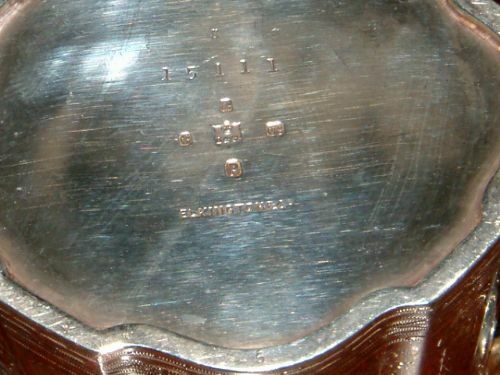 Edwardian Walker & Hall Silver Plated & Crystal Glass Table Centre.With Inscription Dated 1904 on the Base. 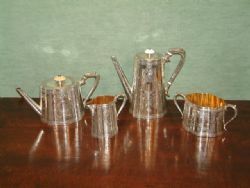 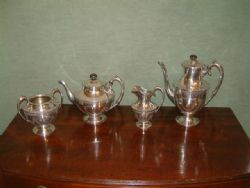 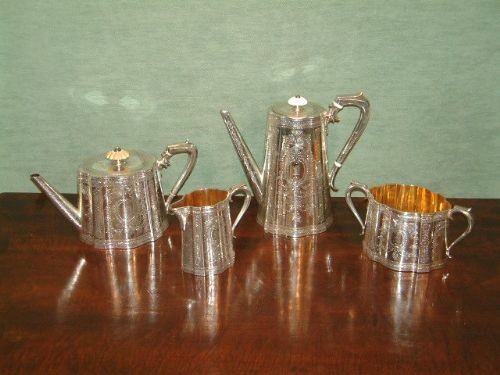 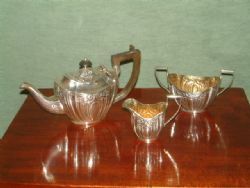 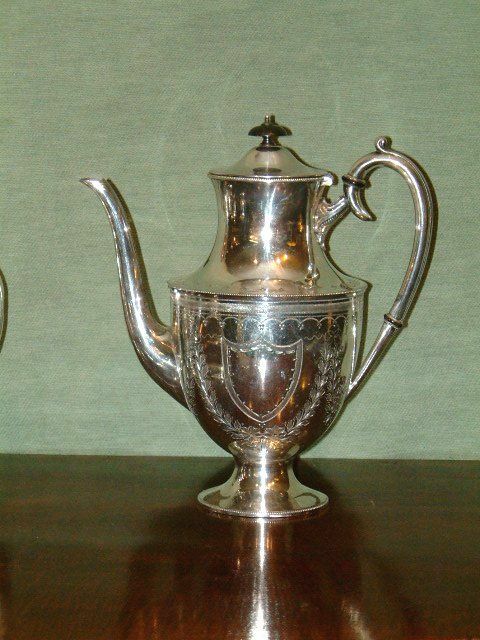 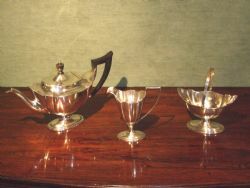 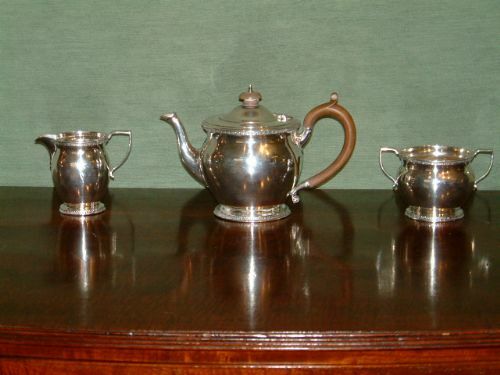 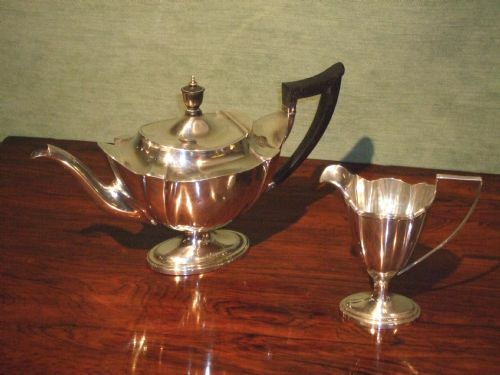 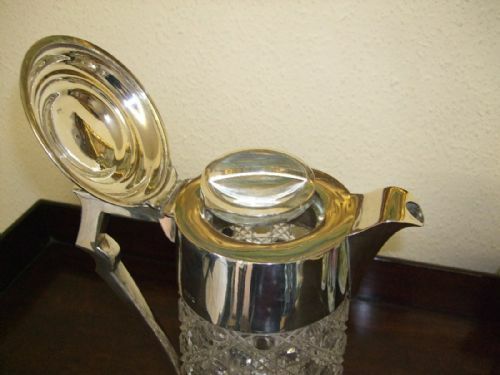 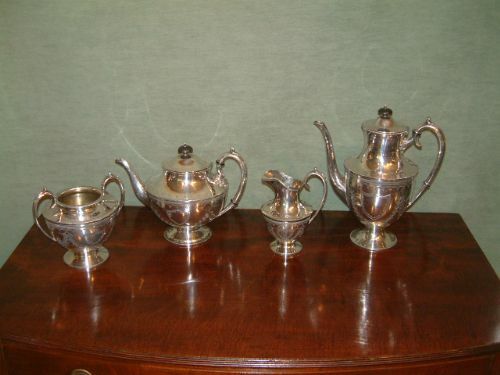 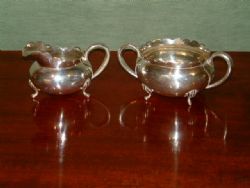 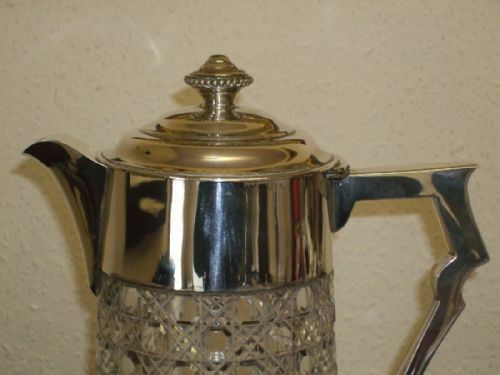 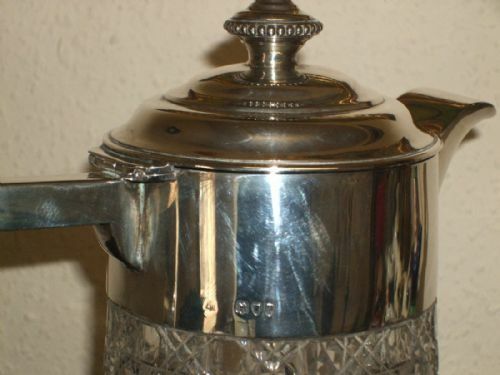 19th Century Silver Plated Tea/Coffee Set with Ebony Knobs some minor indents. 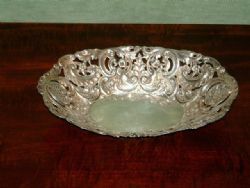 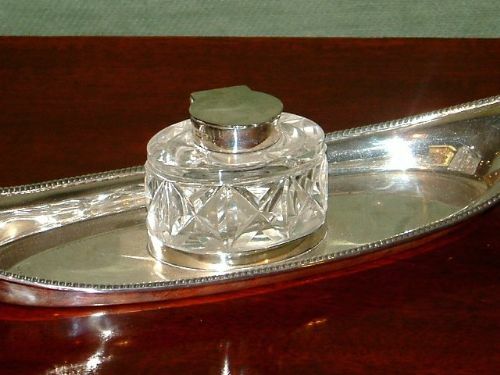 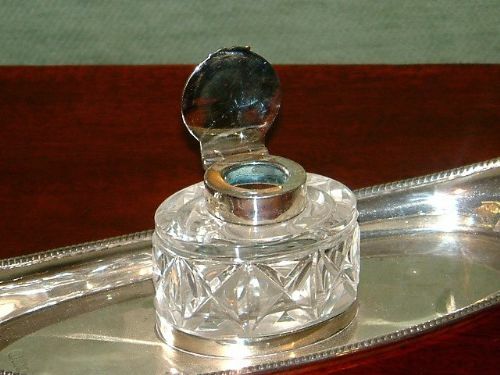 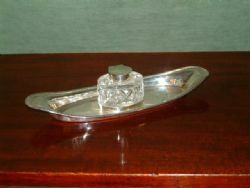 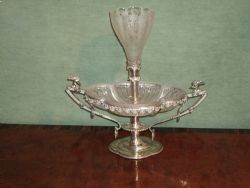 Fine Quality Sheffield Plate & Crystal Table Centre 19thC. 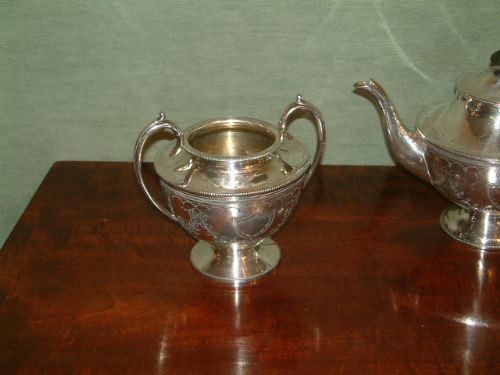 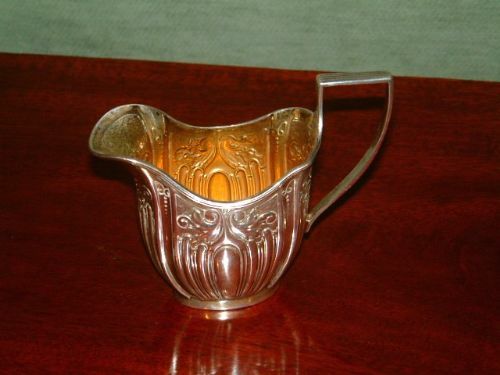 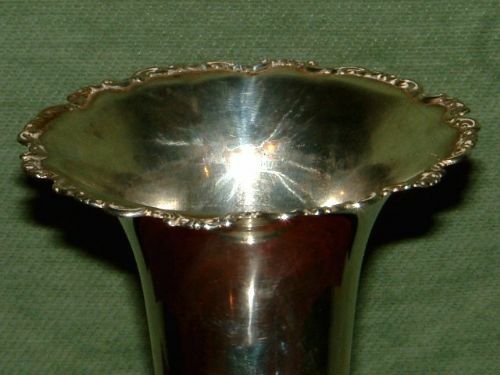 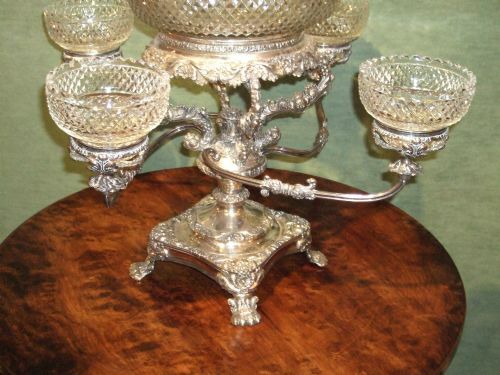 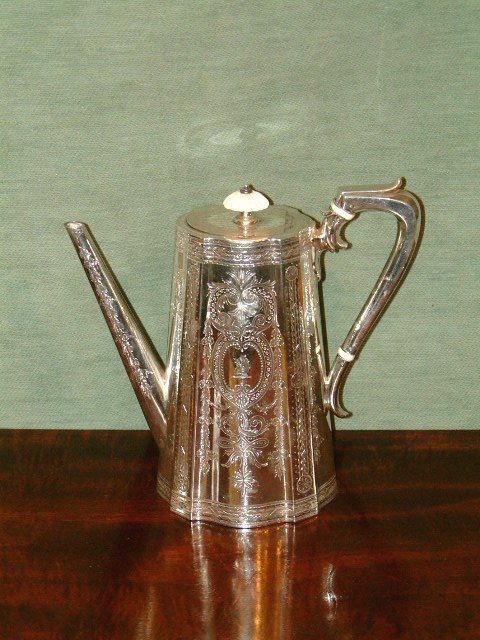 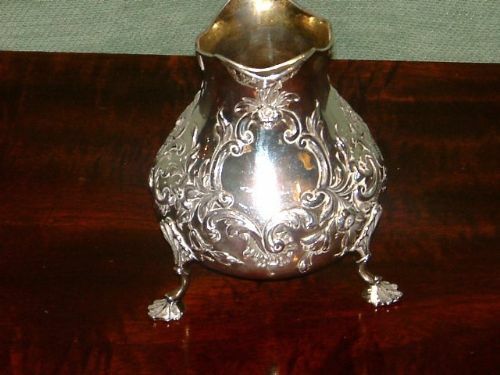 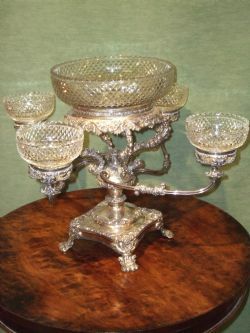 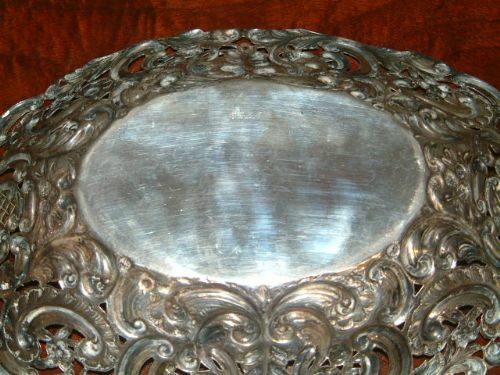 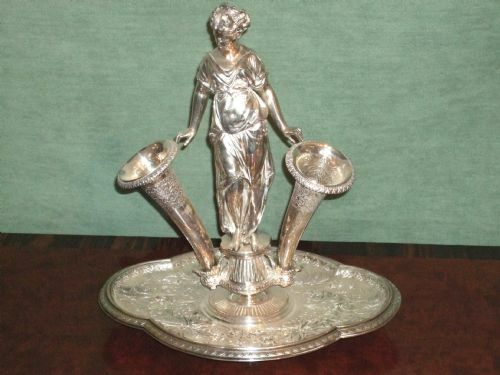 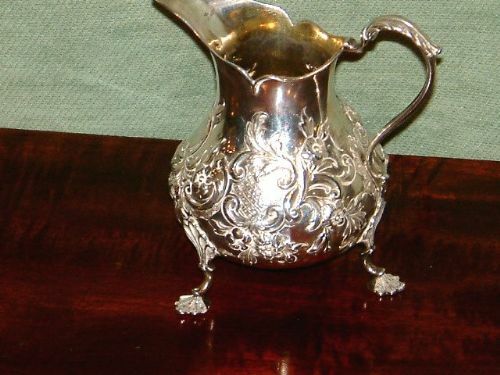 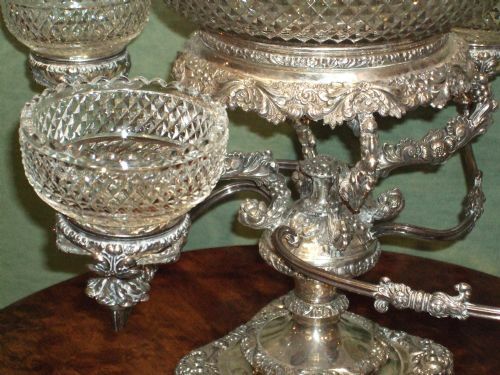 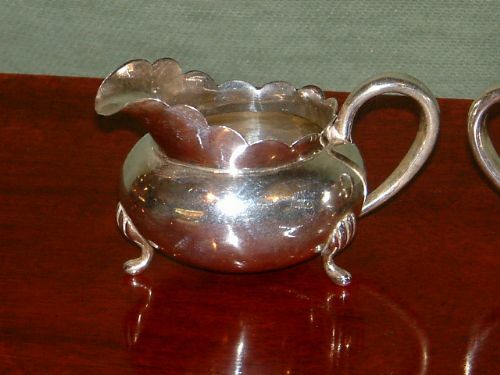 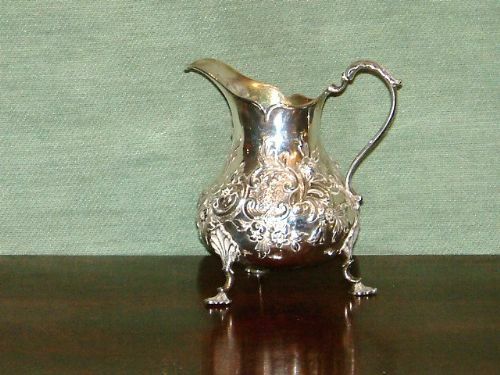 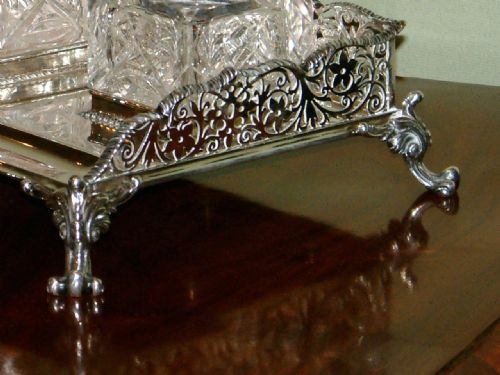 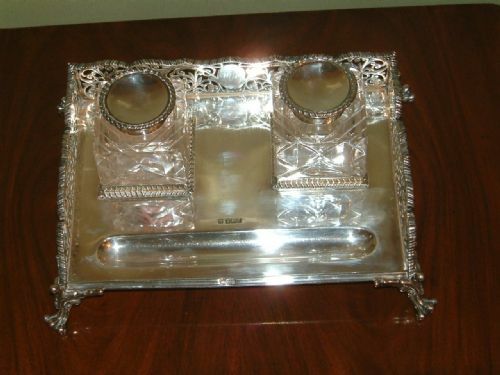 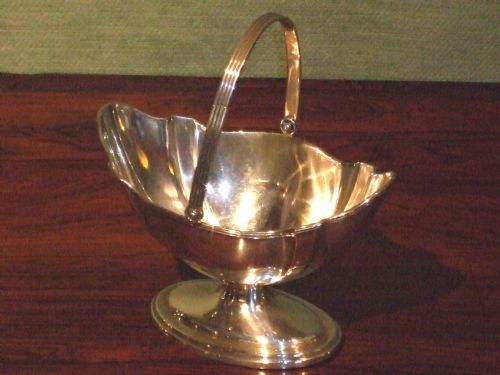 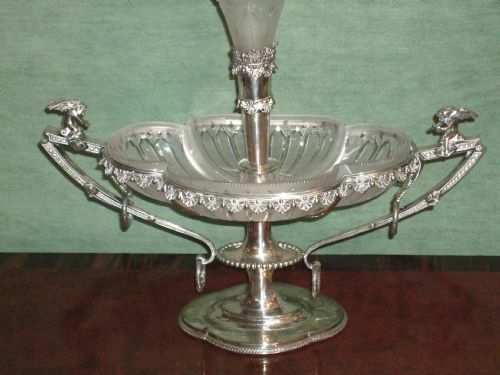 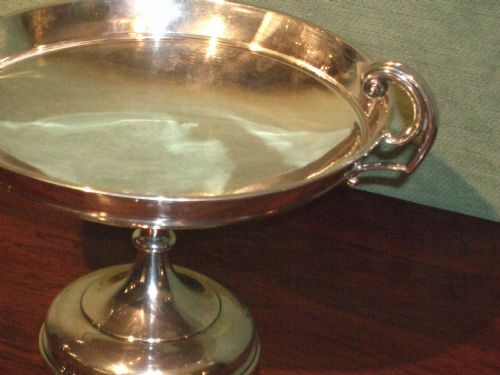 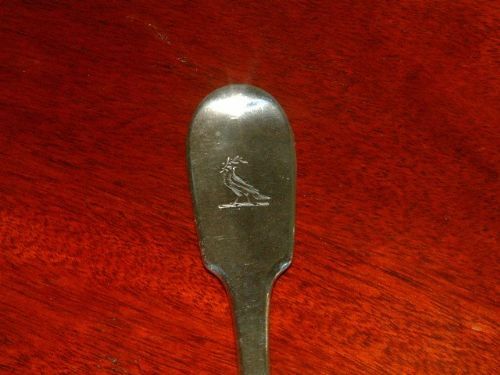 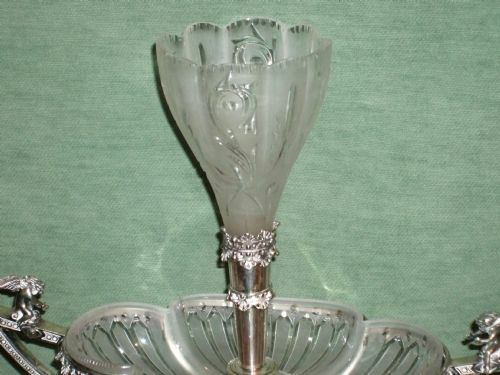 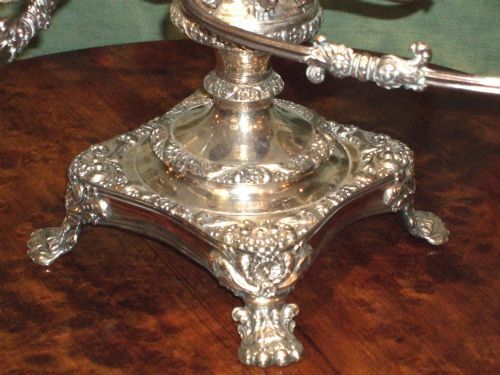 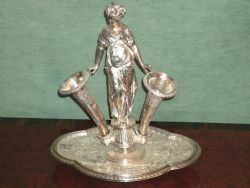 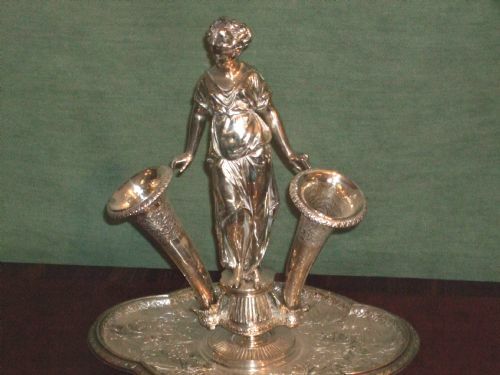 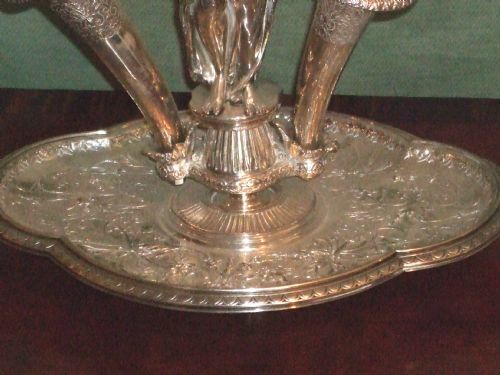 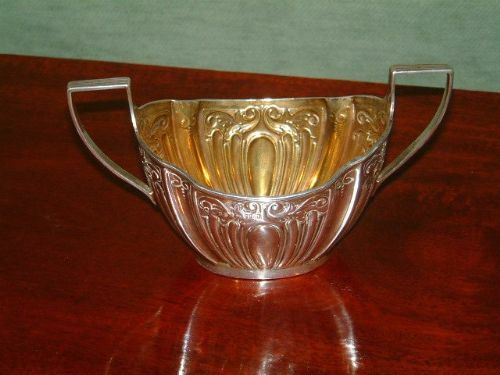 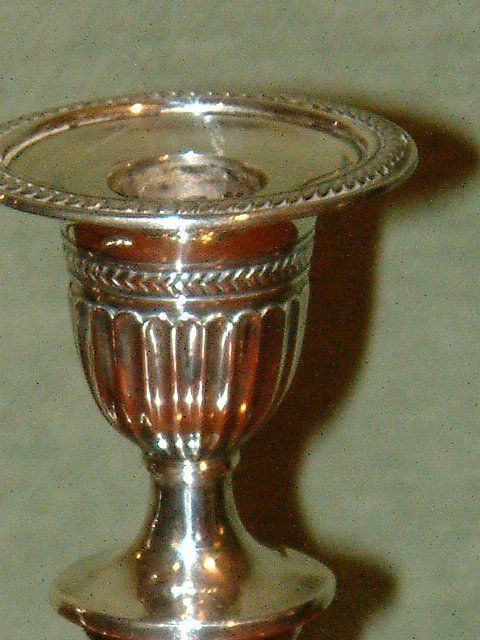 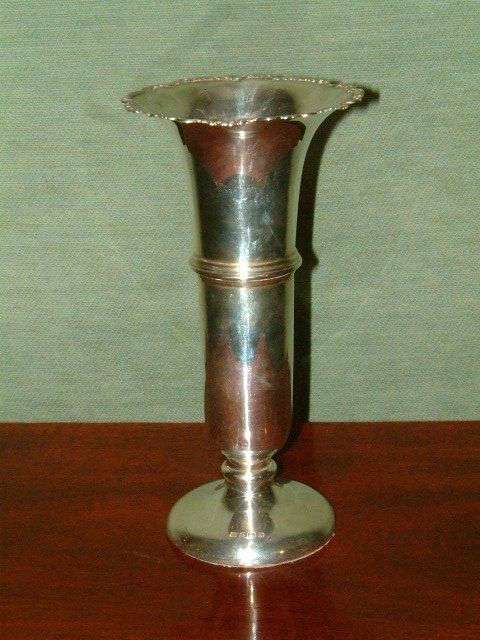 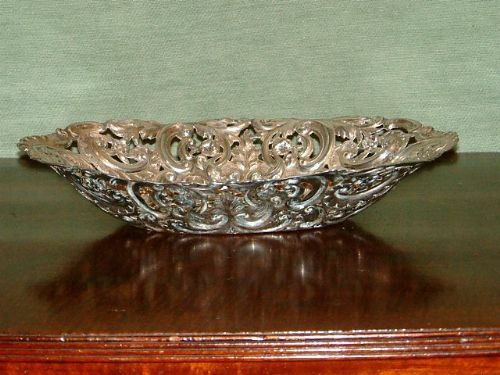 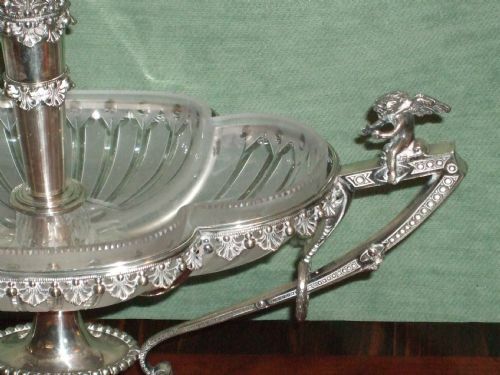 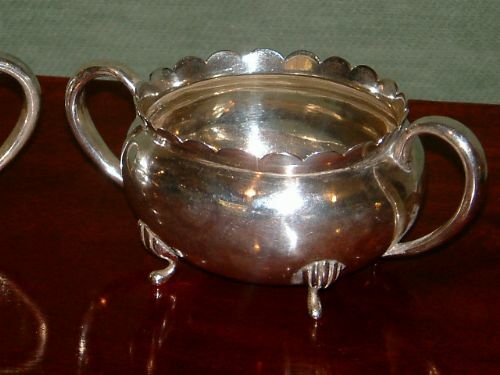 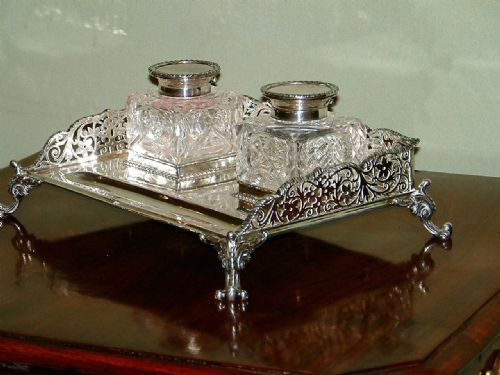 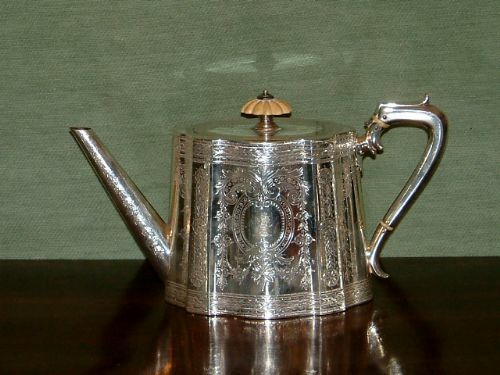 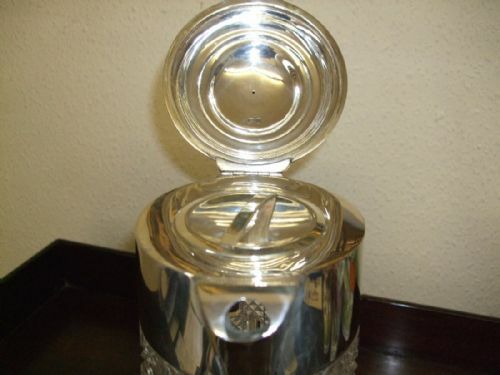 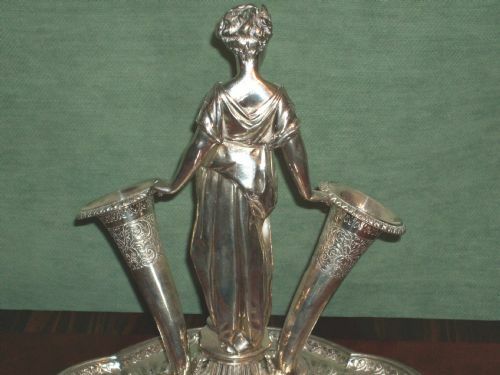 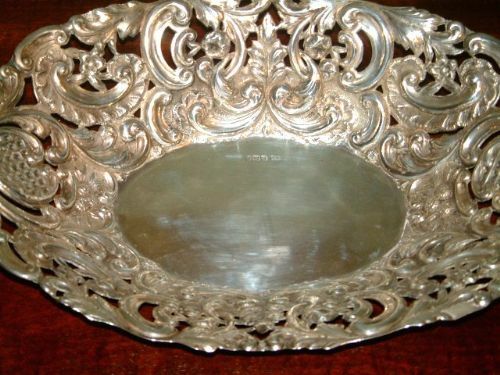 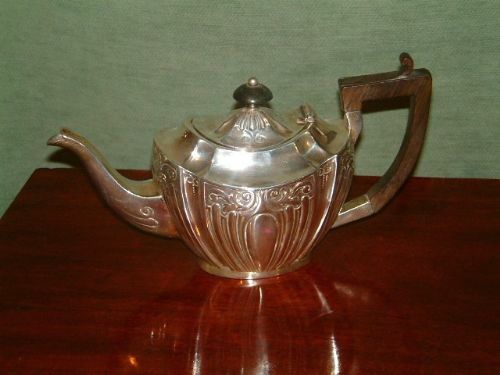 Victorian Silver Plated Epergne Table Centre by Elkington. 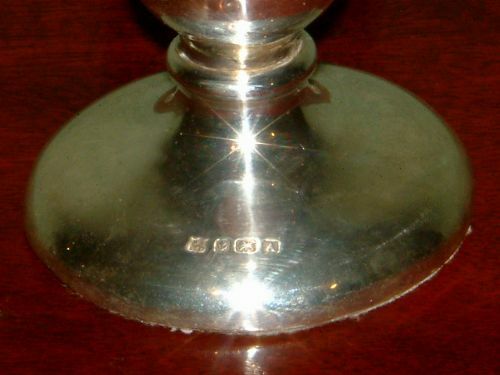 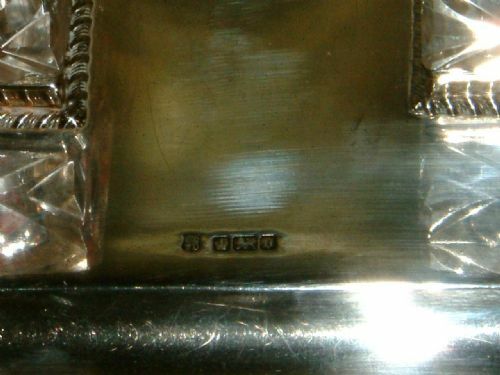 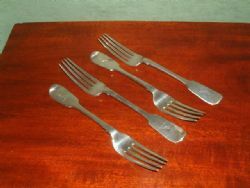 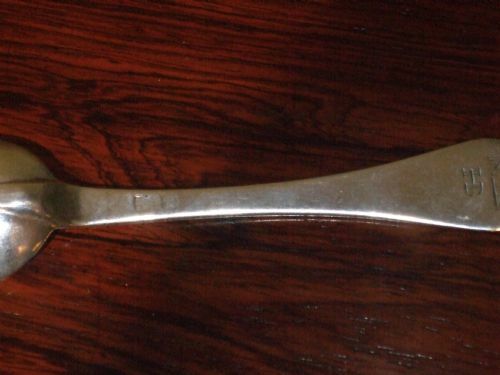 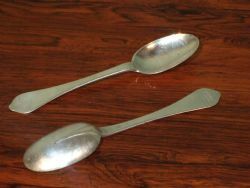 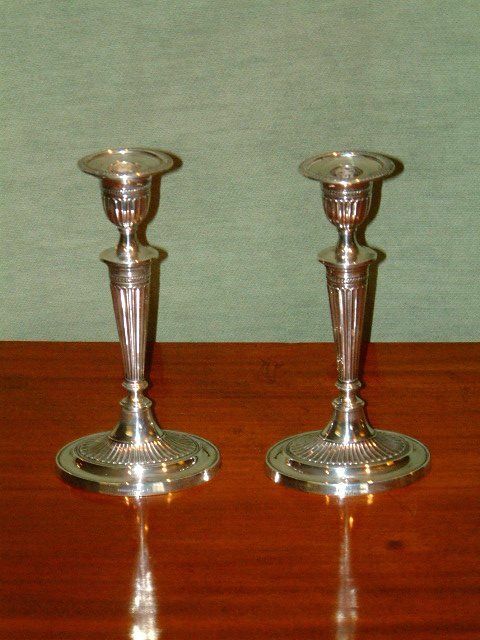 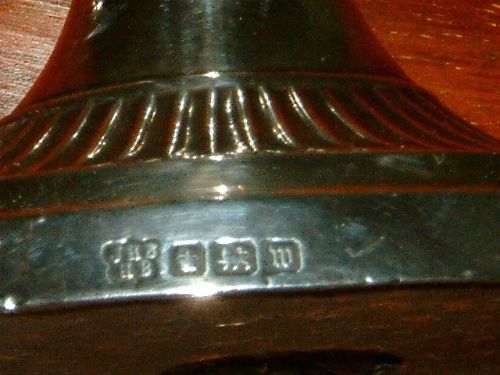 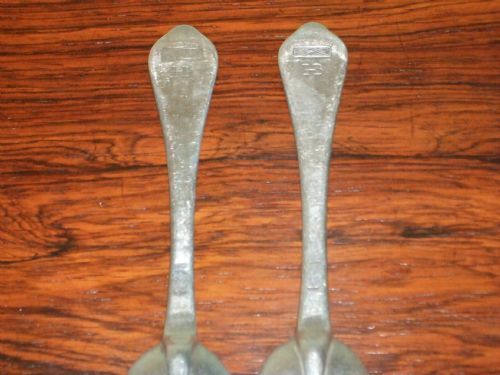 Pair of Silver Candlesticks Sheraton Revival Hallmarked 1914.